SkyTeam's 20 member airlines make it possible to travel the world in a better way. SkyTeam's network offers service to over 1,060 destinations in 179 countries with over 16,270 daily departures. You are invited to learn more at skyteam.com. When customers join a frequent flyer program of any SkyTeam member airline they earn frequent flyer miles towards Elite status. The more they fly, the quicker they will enjoy the benefits of Elite status. Customers have the opportunity to earn and redeem frequent flyer miles with all 20 SkyTeam member airlines. 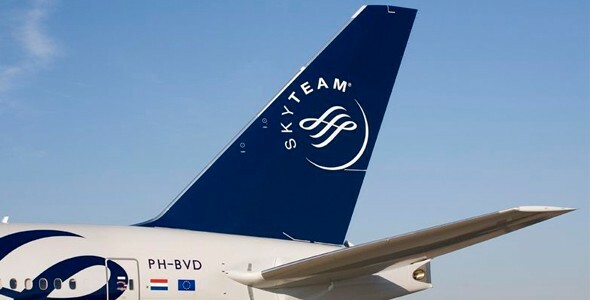 For more information, visit skyteam.com. SkyTeam member airlines welcome you to more than 515 lounges worldwide. Sky Priority is an alliance-wide, red carpet treatment for our top customers. Sky Priority unites the most exclusive airport benefits of all 20 SkyTeam alliance members into one, consistent experience for customers who travel in First, Delta OneTM, Business or are Elite Plus. So, regardless of a customer’s choice of airline or frequent flyer program, Sky Priority will speed and guide them through their journey with ease. Organizing a meeting with global reach requires partners who span the globe. For SkyTeam, global reach is what we do every day. Global Meetings brings your ideal event travel solution into one place. Get discounted fares for your attendees, reward tickets and simplify event travel.